Alignment is one concern that comes up again and again with outsourced digital marketing. Brands want granular control over their messaging and campaigns – and leading stakeholders often worry that there’s no way to get it except to invest in a big, complex, and costly in-house organization. Luckily, technology is changing all that. With help from the right outsourced partner, you can enjoy a seamless digital marketing experience every bit as robust, responsive, and transparent as it is to have a conventional team. In fact, in many cases, outsourcing will be better than hiring and training your own personnel to fit every niche. A well-chosen outsourced partner equips you with capabilities you’ve never had, enhancing your strengths. The outsourced team also comes ready with best practices built on a wealth of digital marketing and sales expertise. That would take years of trial and error to develop internally. One area a winning outsourced team should focus on is maintaining alignment with your full-time sales and marketing staff. Your voice is essential to the strategic and creative elements of every initiative – while still ensuring day-to-day details are no longer a worry. One thing makes it all possible: Collaboration. Clear communication is key to any successful project. When outsourcing digital marketing, it’s even more crucial. Your partner should work closely with you, anticipate your needs, course correct whenever necessary, and always furnish the right data to make informed decisions. At Bluleadz, we’ve designed a collaboration strategy that empowers our clients. In the digital world, things move fast – it’s critical that everyone be, and stay, on the same page. We make it easy through efficient, yet informative weekly calls. We cover wins, challenges to come, and action items that will help us keep up the pace. Calls are optional, but they make a difference. Even if you don’t have time to sit in on a call, it doesn’t mean you have to be in the dark. Our team understands which metrics mean the most to you. We distill modern data wizardry down to clear and actionable reports so executives have relevant business intelligence at all times. While many digital marketing agencies rely on old-fashioned Waterfall project management (or have no project management standards at all) Bluleadz uses Agile. For years, our award-winning agency has been at the forefront when it comes to helping clients shift toward the inbound way of doing business. We’re intimately familiar with the challenges and rewards that come with inbound, so we can train and support your team every step of the way. 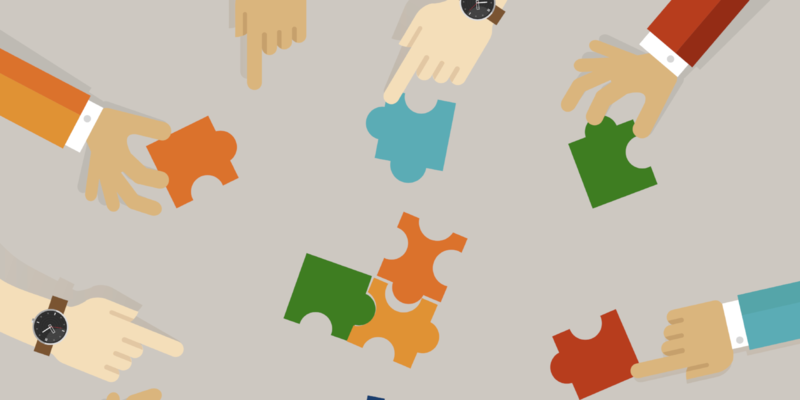 Last, but not least, we truly value the power of collaboration: It makes certain that your unique imprint is on every piece of collateral and every marketing or sales outcome. You’ll always have instant access to a dedicated account manager for questions, concerns, or ideas. 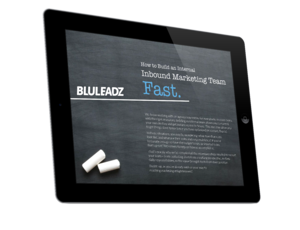 Whether you’re looking for a taste of what inbound can do for you or planning to transform to a fully inbound-focused business model, Bluleadz has unparalleled insight to help your sales and marketing teams succeed in the digital age. We strive to deliver clear ROI, measurable results, and lessons learned that you can leverage for many years to come. It all begins with an eagerness to learn about your needs and a willingness to center your voice throughout every engagement.